An indecisive, divided administration may be gradually blundering its way toward war. Curious it is, as Yoda might say, that Obama administration officials are openly in disagreement about whether to escalate America’s involvement in the civil war in Syria. The good news: the administration is confused, and it finds the situation in Syria confusing. The bad news: step by step, the United States is edging closer to direct involvement in the war. Senior Obama administration officials have caught some lawmakers and allies by surprise in recent weeks with an amended approach to Syria: They don't want an outright rebel military victory right now because they believe, in the words of one senior official, that the "good guys" may not come out on top. Administration officials fear that with Islamists tied to Al Qaeda increasingly dominating the opposition to Syrian President Bashar al-Assad, too swift a rebel victory would undercut hopes for finding a diplomatic solution, according to current and former officials. It would also shatter national institutions along with what remains of civil order, these people say, increasing the danger that Syrian chemical weapons will be used or transferred to terrorists. We’ve not been asked. As I said, I’ve not been asked by the president. We’ve had national security staff meetings at which we’ve been asked to brief the options, but we haven’t been asked for a recommendation. 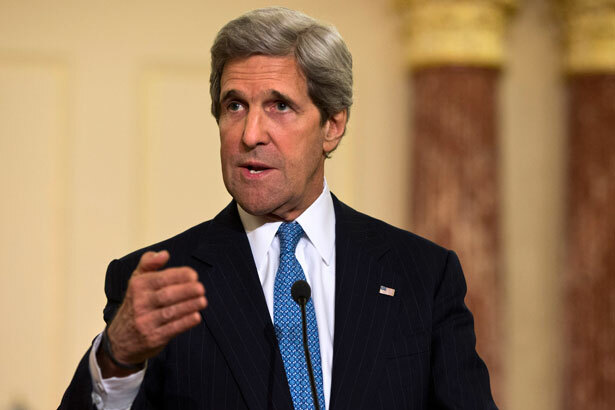 In a long day of hearings, Mr. Kerry highlighted the opportunities in working with the opposition and stressed the need to step up the pressure on the Syrian president, Bashar al-Assad. Mr. Hagel, joined by Gen. Martin E. Dempsey, the chairman of the Joint Chiefs of Staff, noted that the Pentagon was moving to deliver medical supplies and food rations to that opposition. But highlighting the risks of deeper involvement in Syria, General Dempsey said the situation with the opposition had become more confused. The differing assessments came as the White House is considering what steps to take next in [the] conflict. The United States policy right now is that we are not providing lethal aid, but we are coordinating very, very closely with those who are. The Pentagon is sending about 200 troops to Jordan, the vanguard of a potential US military force of 20,000 or more that could be deployed if the Obama administration decides to intervene in Syria to secure chemical weapons arsenals or to prevent the two-year-old civil war from spilling into neighboring nations. Just as the West financed al-Qaida in Afghanistan in its beginnings, and later paid a heavy price, today it is supporting it in Syria, Libya and other places and will pay the price later in the heart of Europe and the United States. … We hope that Jordanian officials … will be more aware because the fire will not stop at our border and everyone knows that Jordan is as exposed as Syria. If the priority is peace, changes and democratic reforms, it’s necessary to force the warring parties to sit down for talks. If Assad’s departure is the priority, the cost of such geopolitical approach will be more casualties. If we allow those making the emphasis on (a) military solution to control the situation, those horrors … will multiply and the terrorists’ influence in the region will grow. "His perception is that he's winning," Mr. Clapper told the House intelligence committee. "He seems very committed to seeing this through and does not seem to be interested at this point in leaving or voluntarily stepping down." In the wake of the Boston Marathon bombings, Robert Dreyfuss notes that terrorism has actually beeh on the decline in the United States.